This error appears when attempting to start a server in Eclipse. There may be some issue with the permissions of the files needed to start the server. 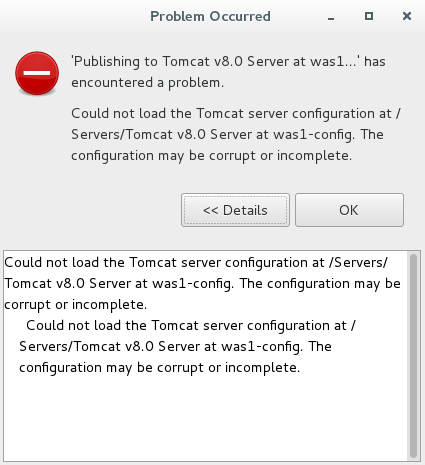 For example, a Tomcat server will create the following files. Ensure the appropriate files exists, with the proper permissions.